Today nearly all of us who surf the web have a Facebook account and it was quite easy to manage it until Facebook introduced the timeline profiles. With Timeline profiles most of the users get confused while they try to customise their profiles or try to improve privacy and control on what they display to different users. But we have a simple trick that allows you to view your profile as a stranger or anyone at Facebook. 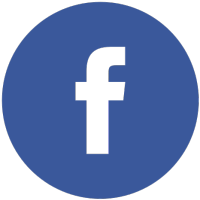 Why You Need To View You Facebook Profile As Others? There is a whole lot of information that you share on Facebook, most of which should not be leaked and must be confined to some of the key people in your life. If you are a job seeker then there may be people who may keep an eye on you and can find the content you share appealing and may hire you. There may be some of your relatives and friends, who are in search of you and can come to know only if your profile shows relevant and not misleading information. How To View You Facebook Profile As Others? Login with your credentials at Facebook. Click on your name in the top right corner, this will take you to your Profile. Now you need to click the “Gear” icon near the “Activity log” button situated on your cover photo as shown in the image below. After this step you will be viewing your profile as anyone who is not in your friends list would see. If you want to see your profile as a specific person in your friend list then you can just click the “View as Specific Person” link and type in any of your friend’s name. That’s it. Now you can see your profile as anyone from your friend list or anyone else on Facebook would see. It is necessary to keep your Facebook profile organised and to show certain things to certain people and to limit what the general public could see. It is certainly necessary for those who love to share their personal life on Facebook.